Home » Govt Jobs » Govt Jobs 2015 » Jobs for Senior Scientific Assistant » Jobs in Bihar Staff Selection Commission. » Jobs in Patna » Senior Scientific Assistant jobs in Bihar Staff Selection Commission (Bihar SSC) in Patna. 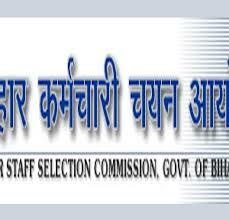 Senior Scientific Assistant jobs in Bihar Staff Selection Commission (Bihar SSC) in Patna. Qualification: Candidates must have passed M.Sc. in Chemistry/ Biotechnology/ Biochemistry/ Zoology/ Manviki (Physical)/ Forensic Science (Genetics)/ Botany/ Molecular Biology/ Microbiology/ Pharmacology/ Physics/ Forensic Science/ Mathematics as per specific branch and division requirement. Candidates should have minimum one year work experience in relevant field. Deposit of Examination Fee through Bank Challan: 08-August 2015 to 01-September-2015.